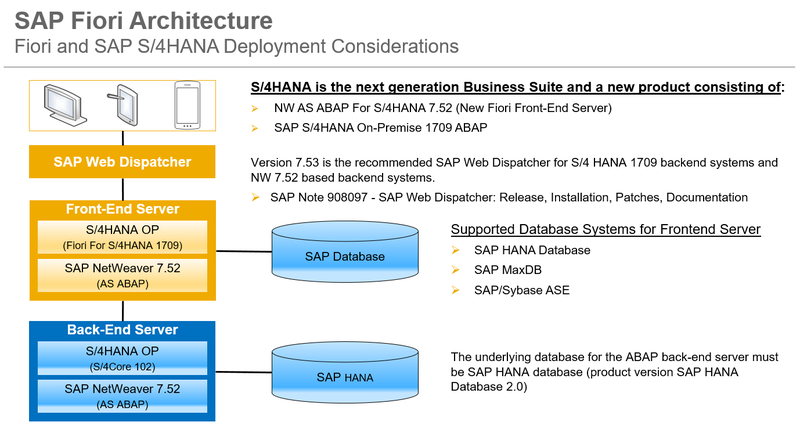 Welcome back to the SAP Fiori in S/4HANA blog series brought to you by the S/4HANA Regional Implementation Group (RIG). This blog provides a first overview on architecture and directs you to the basic sources of information. It is also part of a blog series about SAP Fiori for SAP S/4HANA 1709. SAP Fiori front-end server 4.0 is an add-on product version for SAP NetWeaver AS ABAP and delivers the front-end software components required to run Fiori 2.0 applications for S/4HANA 1709.